Conservative Christians Vs. Anti-Vaxxers: Who’s The Bitchiest? 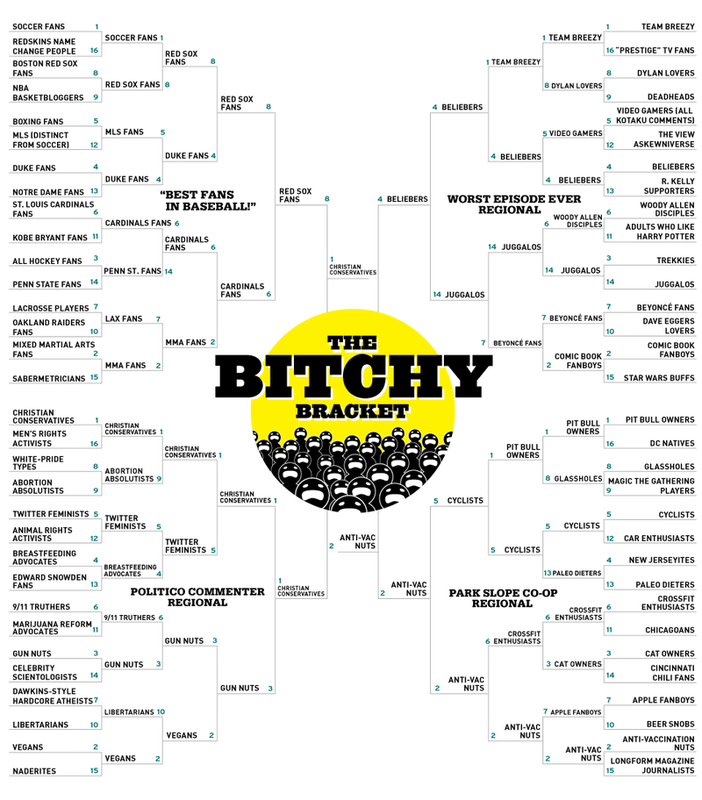 At long last, we have reached the final of our Bitchy Bracket bonanza, and it's a doozy. After seeing Red Sox Nation and Team Breezy and gun nuts and vegans and Beliebers and many other strong candidates fall, we are left with two of the most screeching factions of American society to duke it out. In one corner, we have conservative Christians, a bloc of voters so thin-skinned that every public official in the country has to fake attending church just to keep from offending them. I'm not surprised they made it all the way to the final. After all, this site is part of the GAY IMMIGRANT MEDIA CABAL that aims to destroy America from within. Facing off against Tim Tebow's street team is the anti-vaccine movement, which has serious momentum going into the title matchup. When you've got Jay Cutler's old lady and the folks at Chili's on your side, you are damn near unstoppable. So who's the most defensive? Which group will be the first to comment "smdh" at your logical, scientifically-backed arguments? Only one way to find out: VOTE.